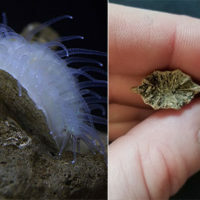 A modern day coral Flabellum pavoninum (right) and a fossilized relative that lived during a period of rapid climate change about 56 million years ago. 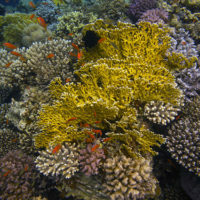 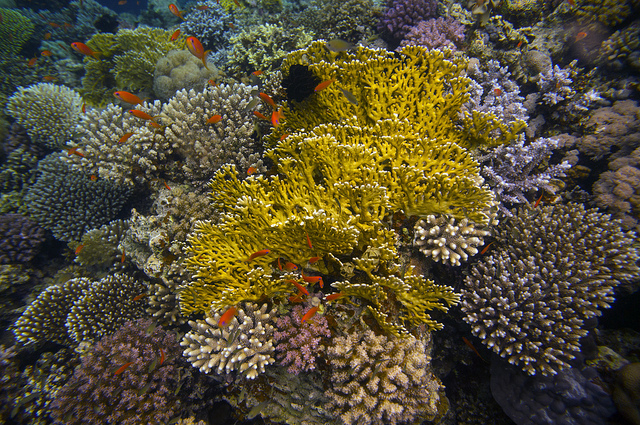 Corals of this type are solitary and are thought to be better suited to survive warming and acidification caused by climate change than reef-forming corals. 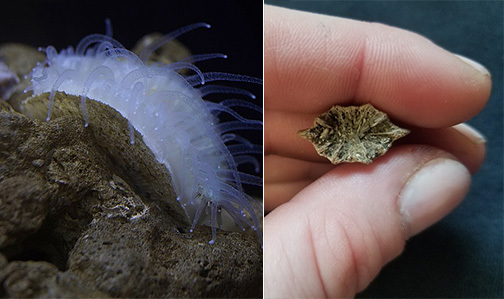 Credit: opencage/Wikimedia, Anna Weiss/ The University of Texas Jackson School of Geosciences.